Political prisoner Dr Sami Al-Arian has had all charges against him dismissed. This is great news, and IHRC congratulates Dr Sami Al-Arian and his family, and all the campaigners who worked tirelessly on his case. “We are glad that the government has finally decided to drop the charges against Sami Al-Arian. It has been a long and difficult 11 years for our family in what has ultimately been shown to be a political case. We are relieved that this ordeal finally appears to be at an end. We hope that today’s events bring to a conclusion the government’s pursuit of Dr. Al-Arian and that he can finally be able to resume his life with his family in freedom. It is with a great sense of relief and thankfulness that I can now report that all charges have been dropped against my client Dr. Sami Al-Arian. Minutes ago, United States District Judge Anthony J. Trenga signed the order dismissing the indictment against Dr. Al-Arian. The case was before Judge Leonie M. Brinkema, but it was Judge Trenga who signed the order on Friday afternoon. I have represented Dr. Al-Arian for roughly eight years as we fought against his deportation and the dismissal of these charges. We have litigated the case from the 11th Circuit to the 4th Circuit to the Supreme Court and back again. It has been a long and difficult road for the Al-Arian family. In September 2004, Dr. Sami Amin Al-Arian was charged, along with various co-defendants, in a 53-count Superseding Indictment. Following a highly publicized six-month trial in 2005, Dr. Al-Arian was acquitted on eight counts and the jury was unable to reach a unanimous verdict on the remaining nine counts. There were only two jurors who voted against acquitting Dr. Al-Arian of all of the remaining counts. As the government considered whether to bring charges against Dr. Al-Arian on the remaining counts, the parties began to negotiate a plea agreement. As a result of these negotiations, Dr. Al- Arian executed a written plea agreement on February 28, 2006. Pursuant to this agreement, Dr. Al-Arian committed to pleading guilty to Court 4 of the Superseding Indictment. The narrative of this count largely dealt with a statement that Dr. Al- Arian made to a reporter and his support with an immigration matter for a person “associated” with the Palestinian Islamic Jihad (PIJ). The count notably did not admit to any of the core terrorism charges levied against him regarding alleged leadership in PIJ and the other terrorism acts. 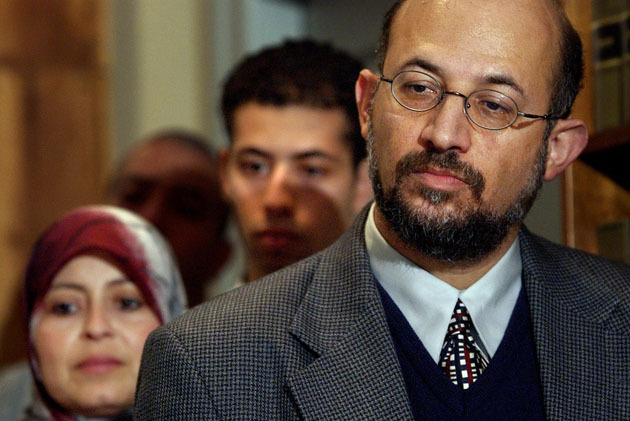 Dr. Al-Arian was sentenced to a 57-month term of imprisonment on May 1, 2006. In fact, as evidence of the high-profile nature of the case, then-Attorney General Ashcroft called an unorthodox press conference to announce Dr. Al-Arian’s arrest. Ashcroft had publicly and repeatedly cited the prosecution as a major victory in his administration. See, e.g., Paul Lomartire, Professor Says Terrorism Arrest ‘All About Politics,’ Cox News Service, Feb. 20, 2003. A movie has since been made of the trial and hundreds of articles have appeared in local and national publications regarding the case. The trial loss and plea agreement was viewed as a significant defeat for the Justice Department. In the immediate aftermath of the settlement and public criticism, prosecutors set out to call Dr. Al-Arian to a grand jury despite his prior insistence that he would not cooperate in such an investigation as a condition of his plea agreement. The result was a highly abusive incarceration of Dr. Al-Arian and eventually this indictment for criminal contempt (for refusing to testify) in 2008 by the Justice Department. He was indicted despite my producing a polygraph showing that he could offer nothing of the matters under investigation by the grand jury and a sworn detailed declaration of his lack of knowledge. We filed a series of motions contesting the indictment for selective prosecution, errors in the indictment, and a clear violation of the agreement made by the Justice Department. A few years ago, we were able to have Dr. Al-Arian released from jail and later we were able to have his home confinement conditions lifted. He has lived with his family in Virginia. This case remains one of the most troubling chapters in this nation’s crackdown after 9-11. Despite the jury verdict and the agreement reached to allow Dr. Al-Arian to leave the country, the Justice Department continued to fight for his incarceration and for a trial in this case. It will remain one of the most disturbing cases of my career in terms of the actions taken by our government. However, despite our often heated hearings in this case, I thank those at the Justice Department who agreed to the dismissal of the indictment. This family has been put through over a decade of grinding, unrelenting litigation. It is time to bring closure to this matter once for all. I am very thankful to the many law students who have assisted me on this case as well as the help of the law firm of Bryan Cave as local counsel in the case. We have represented Dr. Al-Arian pro bono because of the important constitutional and ethical issues raised by his case. The core values underlying this defense ultimately prevailed but only due to the extraordinary effort of Dr. Al-Arian, his loyal family, and a wide array of supporters. It is often said that Justice delay is Justice denied. However, despite this delay, justice did ultimately prevail for not just the Al-Arians but our legal system. Please help IHRC by visiting http://shop.ihrc.org and making a donation or buying an item from our on-line store.